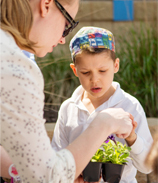 At Friedel, Judaism is celebrated every day with purpose and joy. Students develop a proficient knowledge of prayer, a love and respect for Israel, and the ability to read, write and speak Hebrew as a living language. 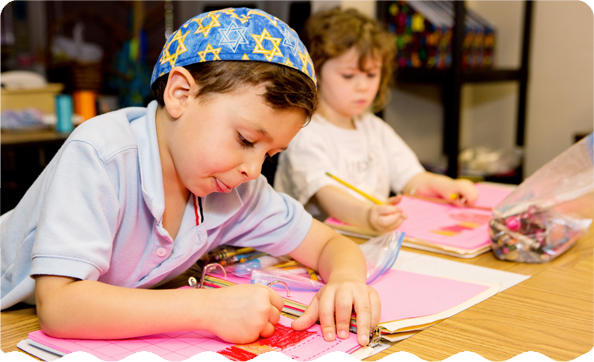 Each of these subjects is artfully integrated into the core curriculum, allowing children to build authentic connections between Judaism and the world around them. Students spend 90 minutes daily in Jewish studies. Our curriculum for Jewish studies is TalAM, an internationally known and respected program that incorporates the acquisition of the Hebrew language along with study of the Torah. We have a school in Israel that we “twin” with through shared activities throughout the year which enhances our students’ love and appreciation for their homeland the State of Israel. 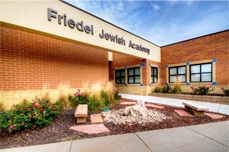 Friedel is a model of diversity within a single community, as our students represent all streams of Judaism. Students learn from one another to honor and respect the differences in the practice of Judaism.